Despite negative media reports on EJK and other issues about President Rodrigo Roa Duterte, the president still gain positive response from people. On Forbes Magazines list of Most Powerful People in the World, the 71 Years old Philippine President landed at # 70, and also included in 11 new personalities to be on the list. The 71-year-old Duterte, who was elected in May 2016, landed on the list barely six months after assuming power in July. 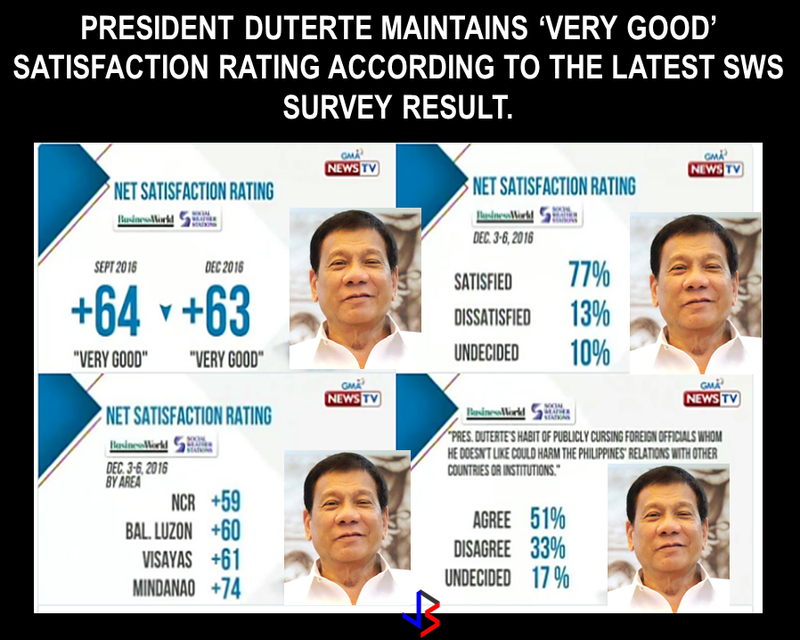 In related news, President Rodrigo Duterte maintains "very good" satisfaction ratings in the latest Social Weather Stations (SWS) Survey. President Rodrigo Duterte maintained a “very good” net public satisfaction rating among Filipinos for the fourth quarter of 2016, according to the latest Social Weather Stations survey. The result, first published on BusinessWorld Online, showed that the satisfaction rating of the President was placed at +63 dropping by one point from to his September rating of +64. 77% of the 1,500 adults who participated in the survey said they are satisfied with the performance of the president, 13 percent are not, while 10 percent are undecided. The “excellent” mark, despite his rating in the area went down by 11 points compared to the last survey, came from Mindanao. The President's popularity and positive reputation pursues him everywhere he goes. His recent visit to neighboring Asian countries has resulted to warm welcomes and positive outcome. Even though the mainstream media does not seem to lift a finger reporting positive things about Pres. 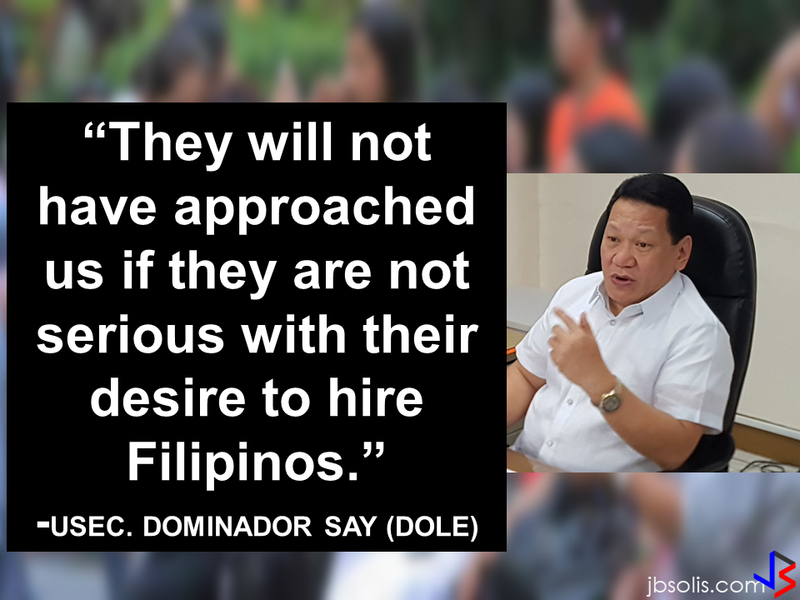 Duterte, it is evident that the people-oriented leader always receive enormous following and warm welcomes. Except reports about "EJK", "kill list", and the President's war on drugs, it is not everyday that you can hear or read reports of his accomplishments, and yet, the truth always comes on the surface that President Duterte is well loved and respected because of his love for the country and the Filipino people.